Everyday Hero and Don’t Tell, Don’t Tell, Don’t Tell both feature main characters who are identified as having Asperger’s, and explore the complex behavioural and communication aspects that can accompany the syndrome. 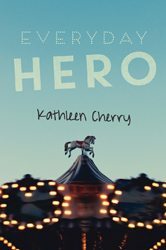 Kathleen Cherry’s middle-grade novel, Everyday Hero, is the story of 13-year-old Alice, who moves to Kitimat, B.C., with her dad while her mom stays in Vancouver temporarily in order to care for her elderly parents. Alice, the book’s narrator, is very clear in her own mind about who she is, what she likes and dislikes, and what she can, can’t, or doesn’t want to do. Convinced Alice will have the chance to be a “normal” kid if no one knows about her Asperger’s, her dad refuses to tell the middle school about it when he enrols her for classes. The omission results in Alice earning a series of detentions for her unexplained behaviour. In detention, Alice meets Megan, a goth who seems to attract negative attention. The only person who recognizes what’s going on, Megan helps Alice deal with her awkwardness in social situations, adverse reactions to deviations from routine, and confusion over verbal expressions. While Alice wonders whether she can be “normal” (“average in type, appearance, achievement, function and development”), Megan gives her opportunities to feel so. When Megan decides to get away from her mom’s abusive boyfriend and meet up in Vancouver with a “friend” she met online, Alice tries to keep her safe. 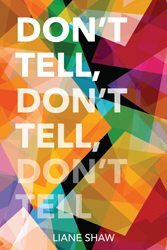 A similar premise informs Liane Shaw’s YA novel Don’t Tell, Don’t Tell, Don’t Tell. Frederick, the 16-year-old protagonist, is not unlike Alice in his love of numbers and math, routines, the dictionary, and the difficulties he has interpreting idioms and slang with which he is unfamiliar. But, Frederick is more comfortable in his own skin than Alice, having developed stellar coping strategies for dealing with verbal abuse, and ensuring that he is able to meet his needs for quiet and routine. Like Alice, he also develops a friendship that takes him outside his comfort zone. The story begins with Frederick being questioned by the police about the disappearance of his friend, another teen named Angel Martinez. As Frederick thinks about what to do and say, he alludes to a promise he made to keep a secret for Angel. When it becomes clear that Angel’s secret plan may not have been as well thought out as she’d hoped, Frederick begins to rethink his promise, hoping to find a way to stay true to himself while bringing order to a very disordered situation. Both Cherry (a school counsellor) and Shaw (a special education resource teacher) get their characters’ voices just right, while challenging readers’ perception of normalcy. Alice and Frederick’s thoughts, powerfully displayed through the sometimes erratic and tangential text, are manifestations of the syndrome with which the kids are labelled. But Cherry and Shaw present the kids’ inner voices as anything but unusual. Anyone can be normal, the authors posit, just as anyone can be a hero, under the right circumstances. Both books are heavily character-driven, focusing on teens and the friendships they make, and both see their protagonists drawn into tenuous, even dangerous, situations. But the real commonality is the message: the peril of labelling and trying to make everyone fit one definition of normal. These two books evocatively give middle-schoolers and young adults the opportunity to open their minds to other possibilities.